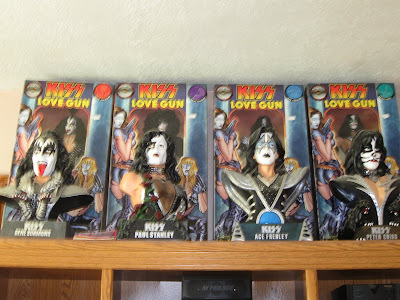 This are some of my husband's KISS collection. They are status of the four famous rock and roll band. Aside from that, he still got plenty upstairs and on the other side of the cabinet where he display his collection. Well, I didn't grow up during that era, but I've got to admit that Kiss is a big influence to a lot of rock bands today.